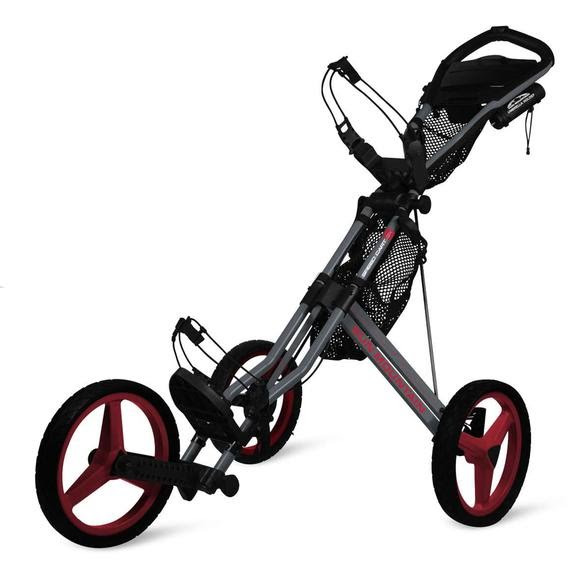 Speed Cart® is one of the most revolutionary products in golf. Prior to Speed Cart®'s introduction in 1999, three-wheeled, ergonomically efficient, folding push carts did not exist in the marketplace. Through the years, Sun Mountain Sports updated Speed Cart numerous times. Speed Cart GX is their latest generation in a rich history! Speed Cart® is one of the most revolutionary products in golf. Prior to Speed Cart®&apos;s introduction in 1999, three-wheeled, ergonomically efficient, folding push carts did not exist in the marketplace. Through the years, Sun Mountain Sports updated Speed Cart numerous times. Speed Cart GX is their latest generation in a rich history! Measurements 37" x 16" x 13"